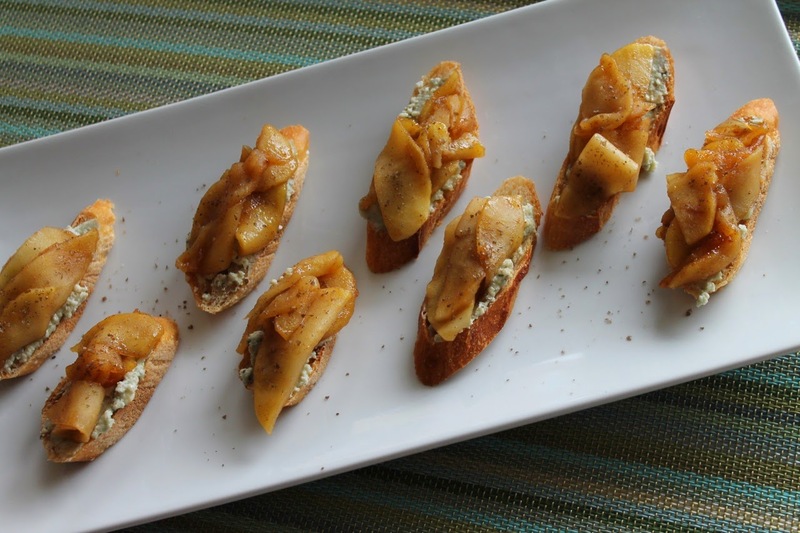 When it comes to a simple appetizer, it's hard to top crostini. Or rather, it's easy to top crostini and that's the point. It's just bread, usually toasted, with something delicious piled on top. 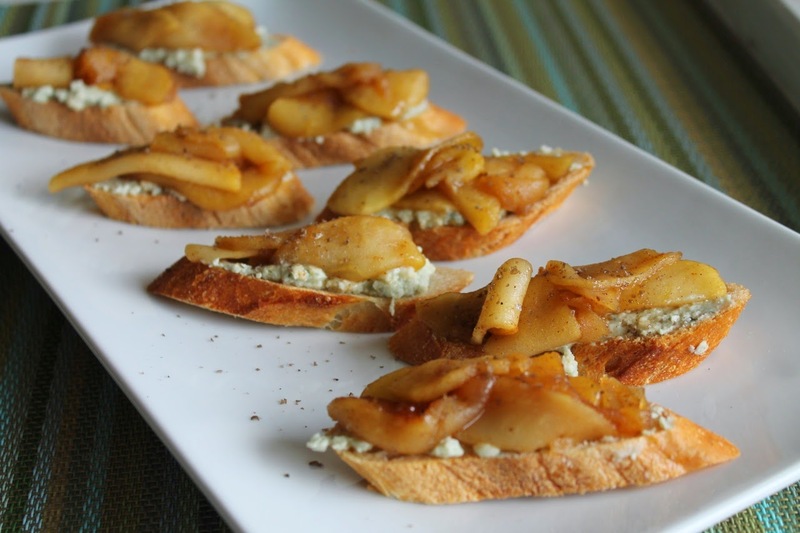 Blue cheese and apples go great together because you get a wonderful combination of pungent and sweet and a mix of textures. 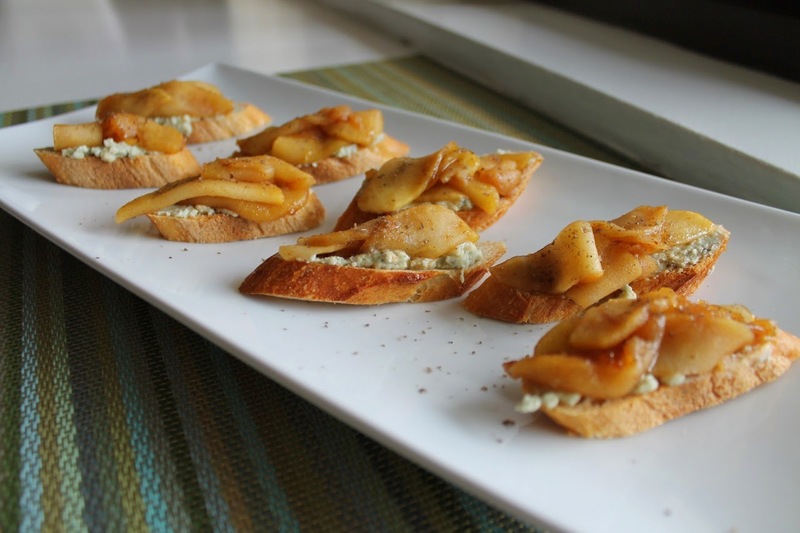 Pushing the flavor of these crostini a little further, I made them just a touch spicy and three times smoky by using a smoked blue cheese, cooking the apples with some smoky chipotle chili powder and sprinkling a little hickory-smoked sea salt on top. 1. Heat a medium frying pan over medium heat. Melt butter, then add the apple slices. Season with cinnamon and chipotle chili powder. 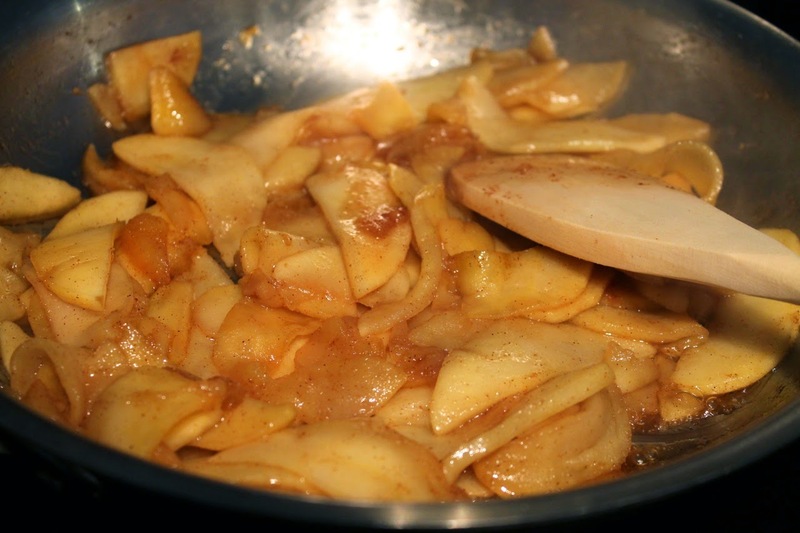 Cook the apples about 10 minutes, stirring occasionally until the slices are tender but still keep their shape. Add the honey, stir to combine and cook another minute or two. Remove from heat. 2. 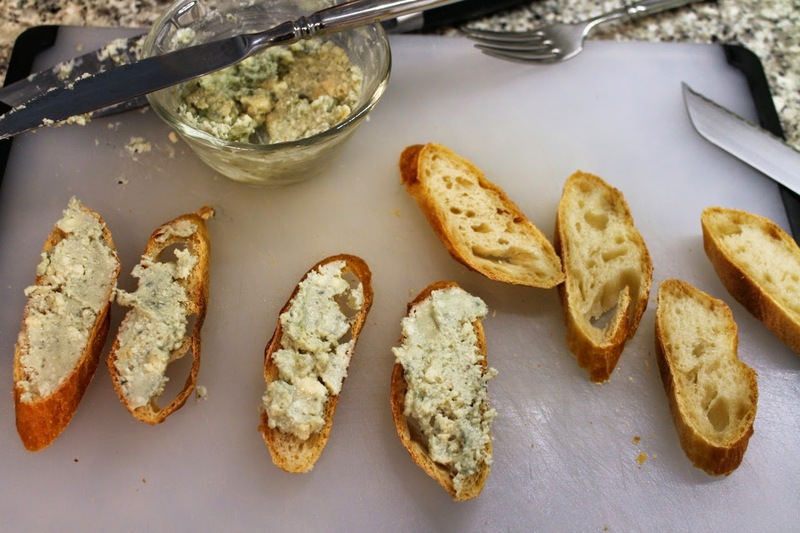 (Optional) lightly toast the baguette slices on a baking sheet under an oven broiler until light brown. 3. Gently heat the blue cheese in the microwave to soften it (I did two low-power blasts of 15 seconds eat, stirring the cheese between blasts). Spread an even layer of cheese on each slice of bread. Then pile a few slices (3-5) of apple on top of the cheese. Sprinkle with a little hickory-smoked sea salt. Serve immediately--they are good warm or cooled off. Thank you! They were really tasty. I'd like to make them again. Maybe try a different cheese and apple combination.